I have MaxxJax two post lift and love it. Portable and I lift car 48" and can roll around working underneatrh with a short roller chair. 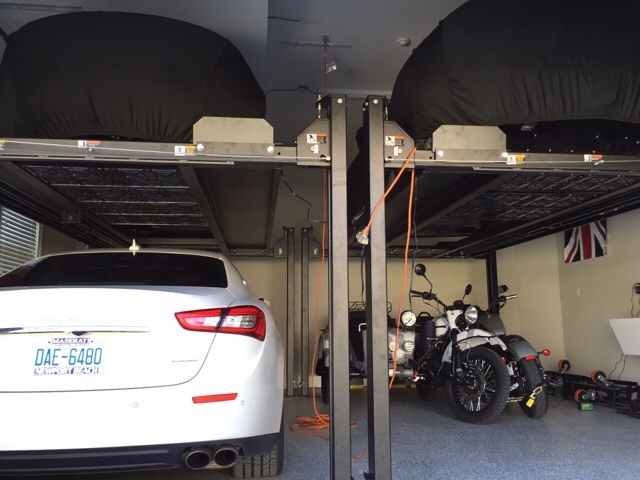 what is the max clear height underneath that you can store a car up on the maxxjax? if you lock it in the up position? I've made the decision to go with the 4 post. BMan thanks for the pics and details. Your welcome. Glad the photos and details helped you make a decision. 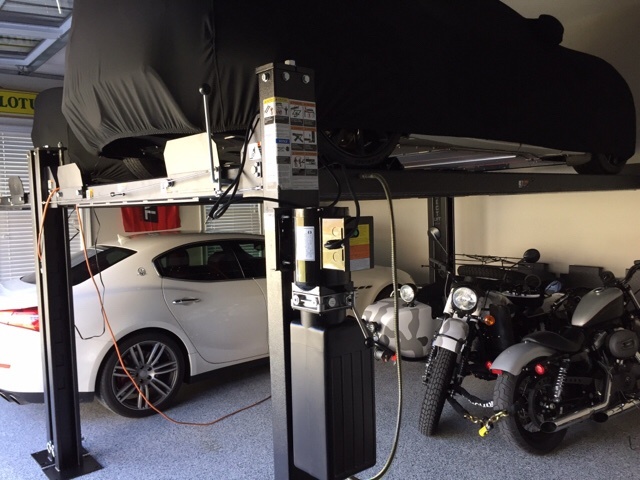 Note that the Esprit easily clears the 7' tall roll up garage door when it is open and the lift is all the way up at maximum height. Our garage ceiling height is 95"
You're welcome to come by and inspect sometime if you wish. 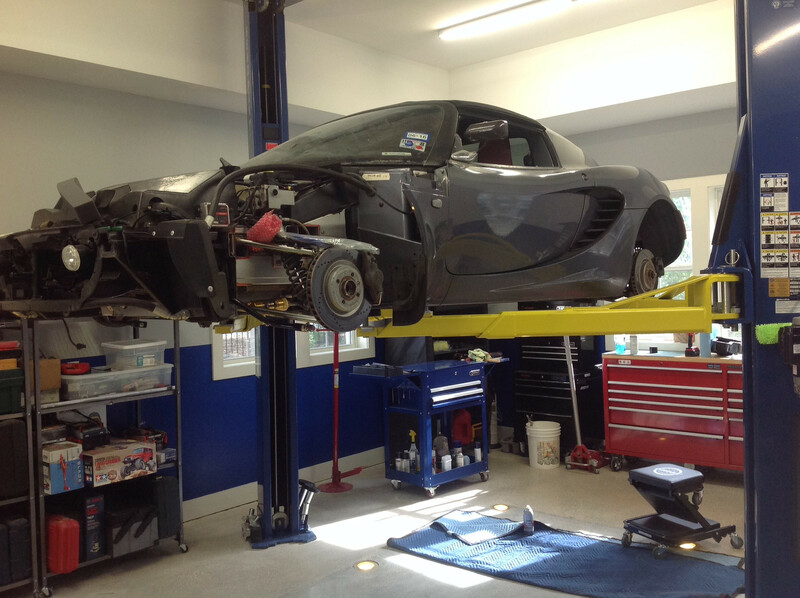 Just got my lifts installed. 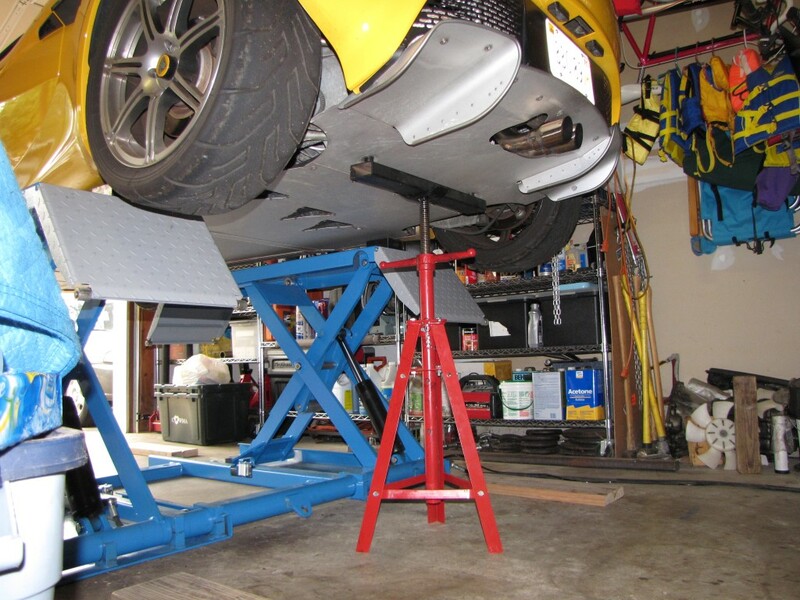 Ordered from Derek Weaver - they are also known as Direct Lift, Rotary Lift, etc. I believe the only four post lifts to be certified. Great price at $2,195 each, including nice casters, jack tray, and four drip trays. 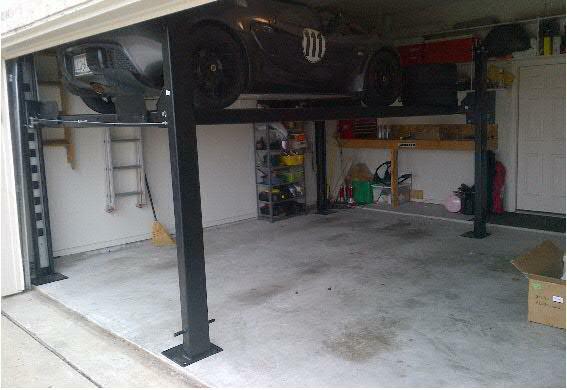 My installer said that his cost on these lifts is $2,895 - he has already started ordering from Derek Weaver. I love my lift (installed in early Feb'12). 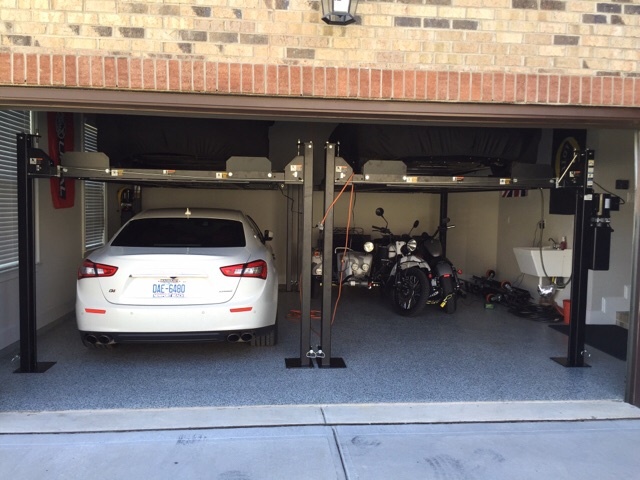 It has casters and can be moved around relatively easy (with a car on it!) however un-anchored at full lift it will sway if I were to jump around on it. It will not budge when it is at waist height. I like where it is so I did finally anchor it a week after I got it... and can always unbolt it if I really want to move it again. I hear the more expensive ones (like Backyard Buddy etc) have less of a tendency to sway when un-anchored and at full lift. Mine is now solid as a rock. Cars are dirty.. sorry. Ceiling is 10ft. 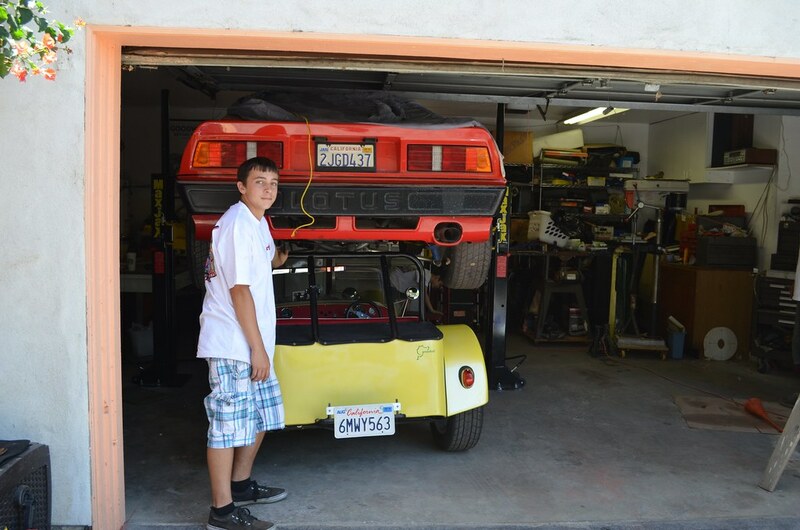 I could raise the Lotus one notch further if I backed it in (would better clear the raised door), but I rather have the tires stored where they are so I don't need to remove them to remove the car. 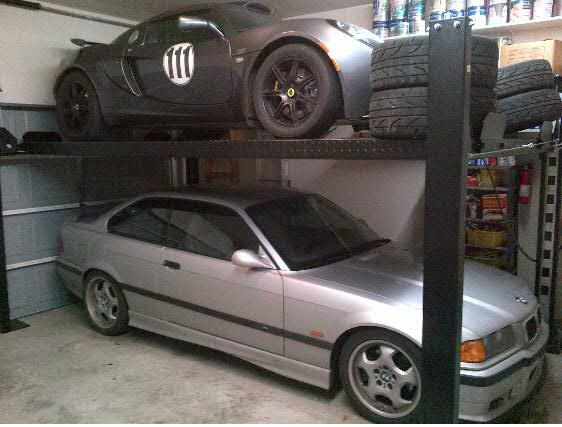 Mike, that's the same setup we're planning for our residents, would you mind sharing garage dimensions? Just had my second lift installed, it is the same as my other lift. It is a tight fit, but it works for me. Ron, how tall is your ceiling?